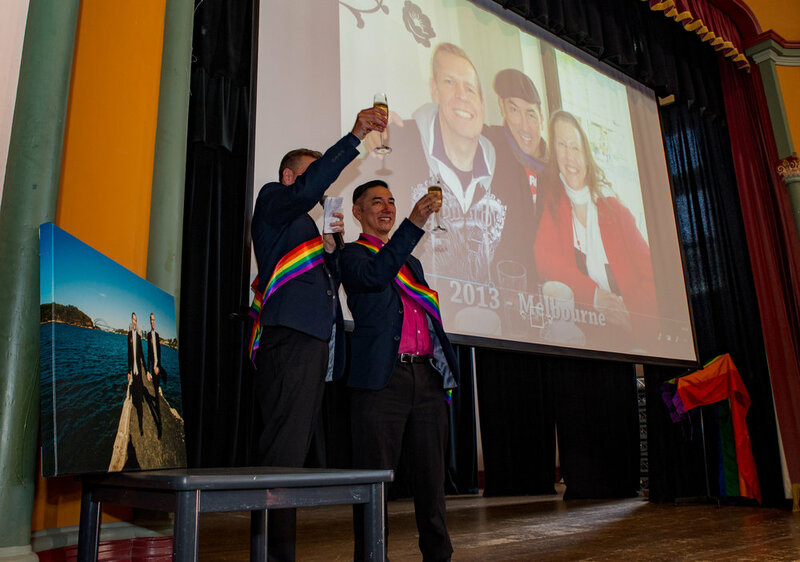 Michael and Luke after a 2 year romance, had a civil partnership in 2009 and marriage in 2015 in the UK Consulate in Sydney. 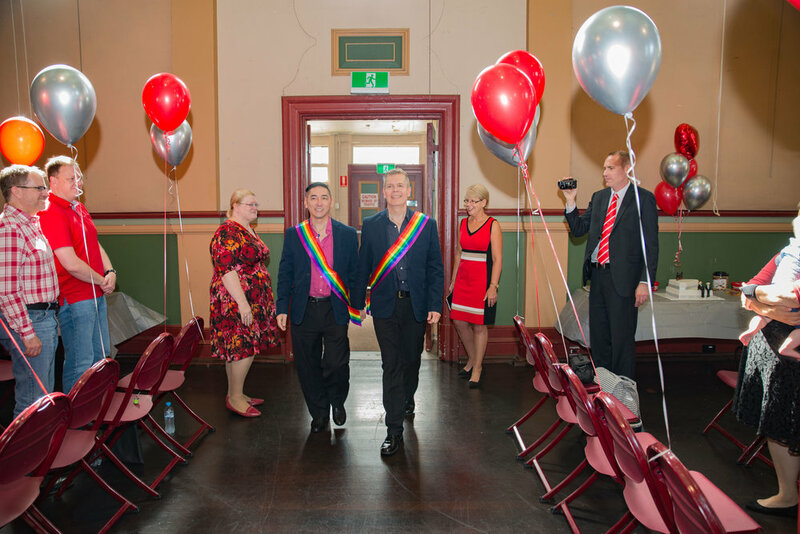 Now finally thanks to full marriage equality in Australia their marriage is finally recognised here. 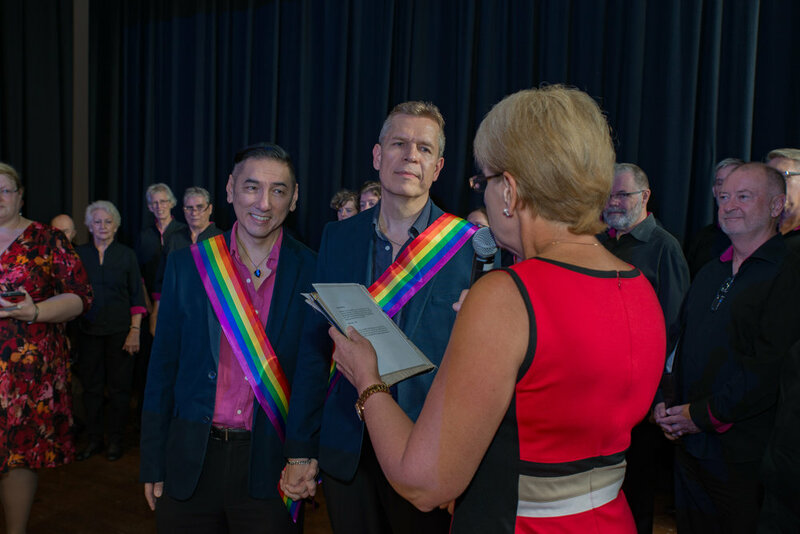 To celebrate this happy event, they recreated much of their original ceremony. 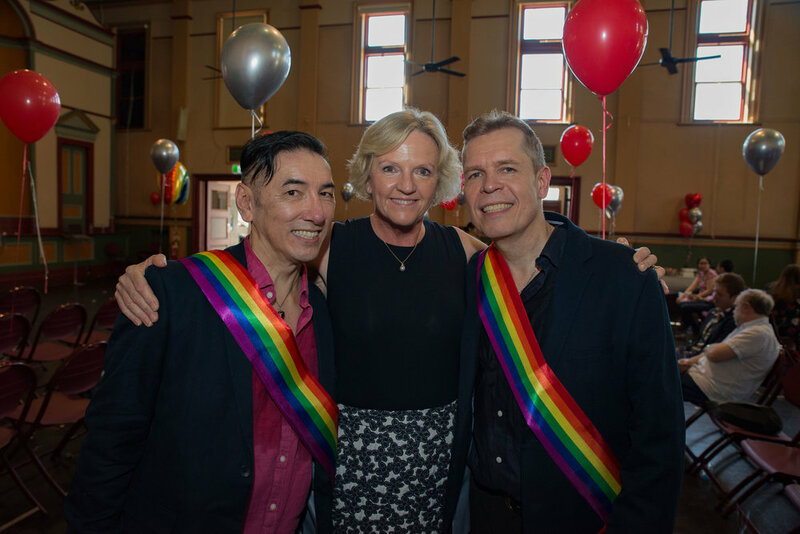 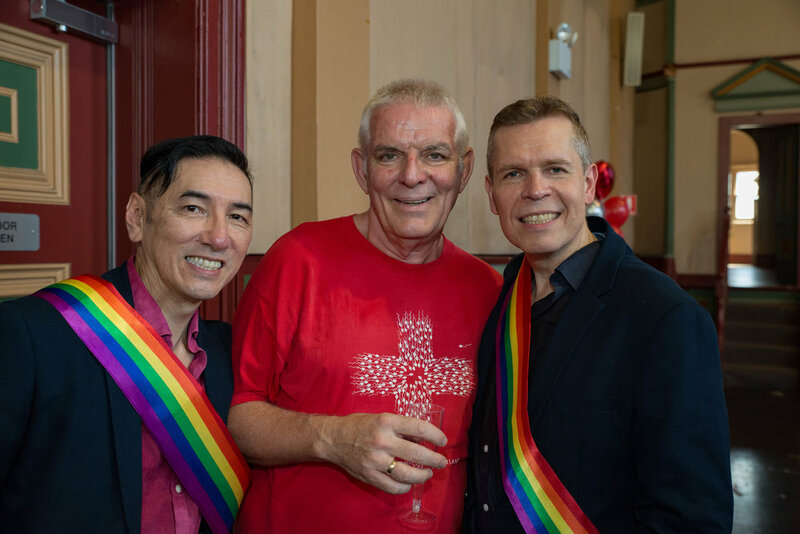 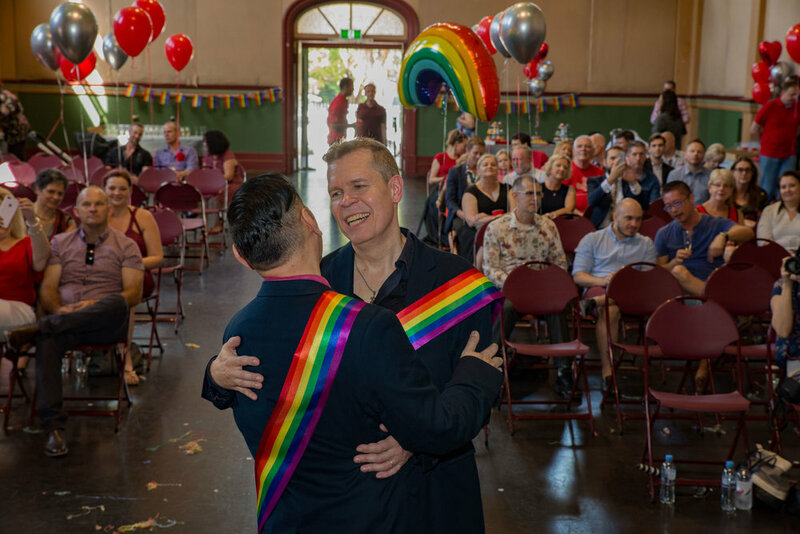 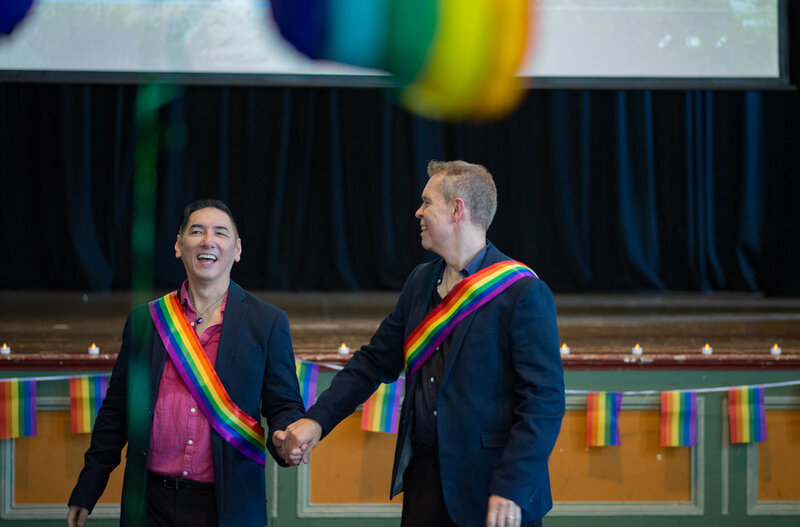 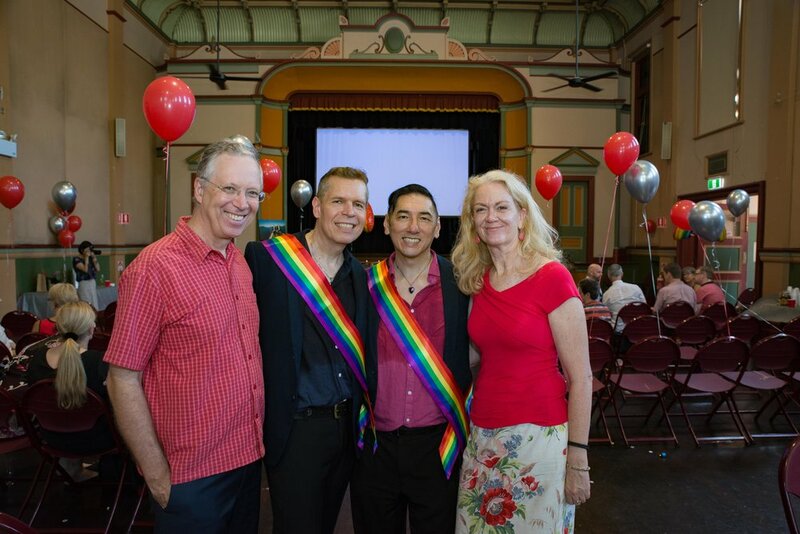 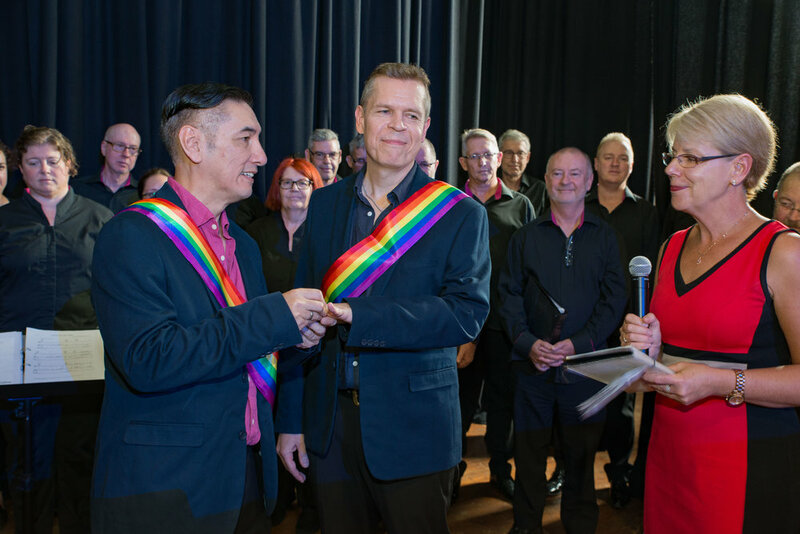 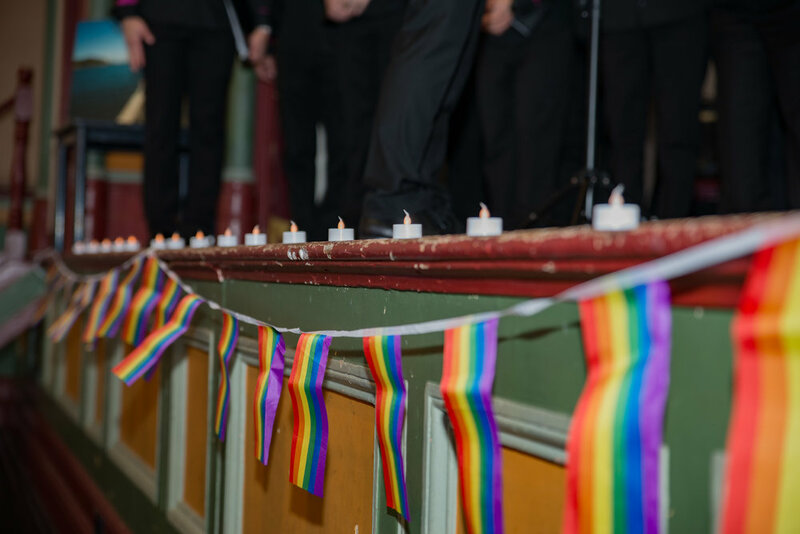 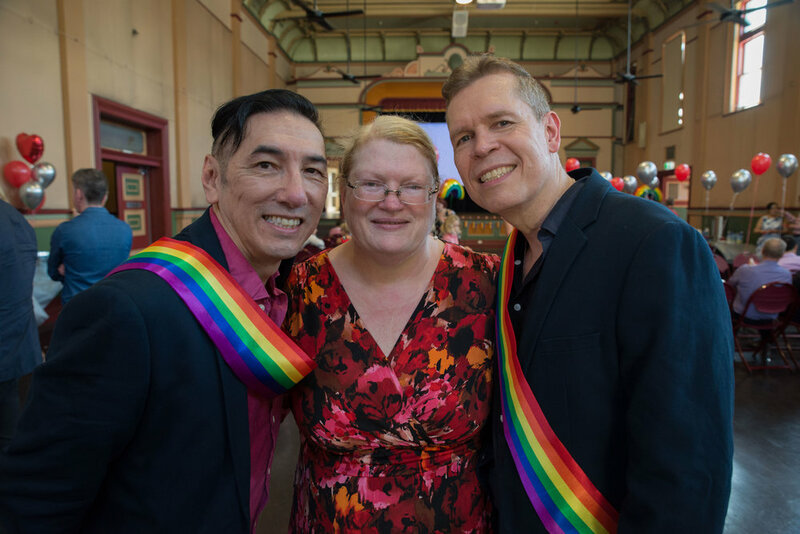 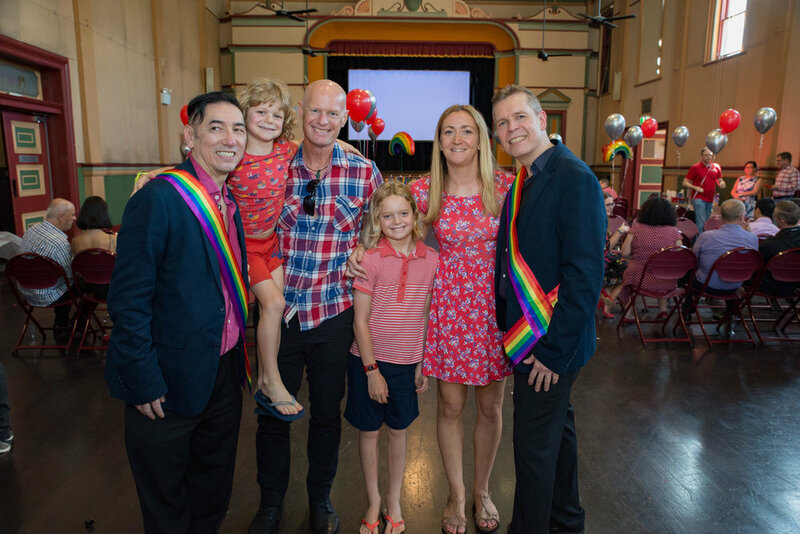 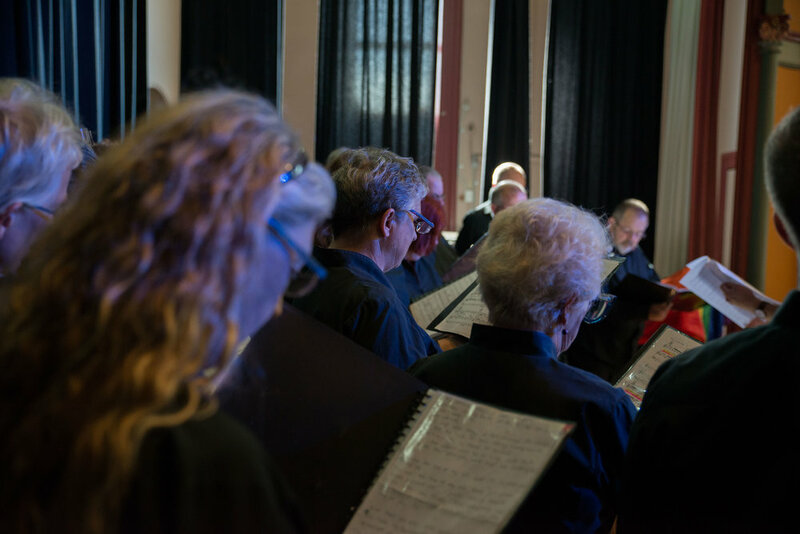 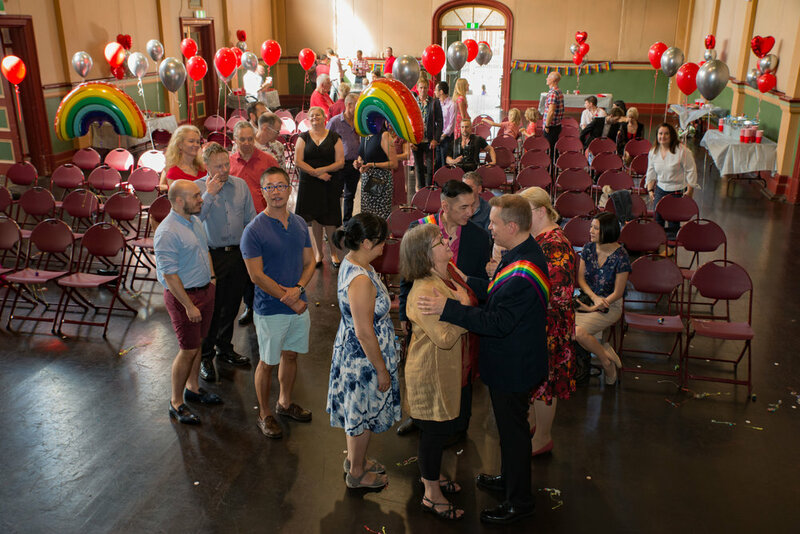 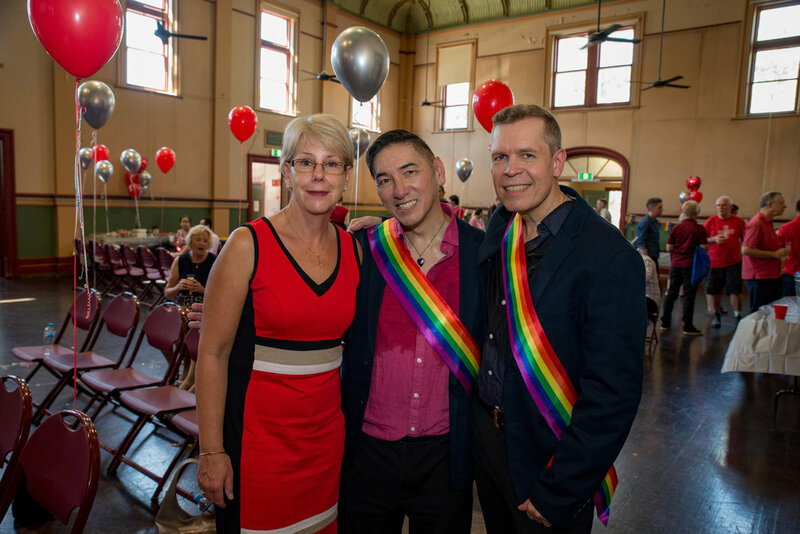 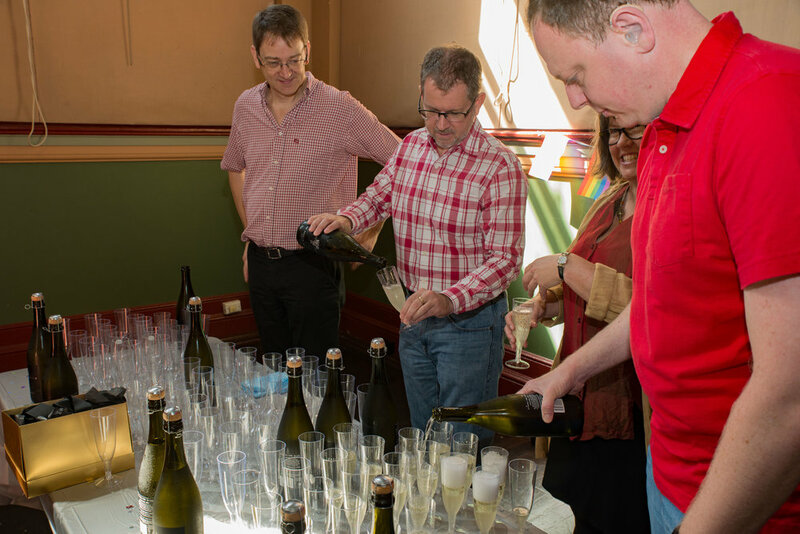 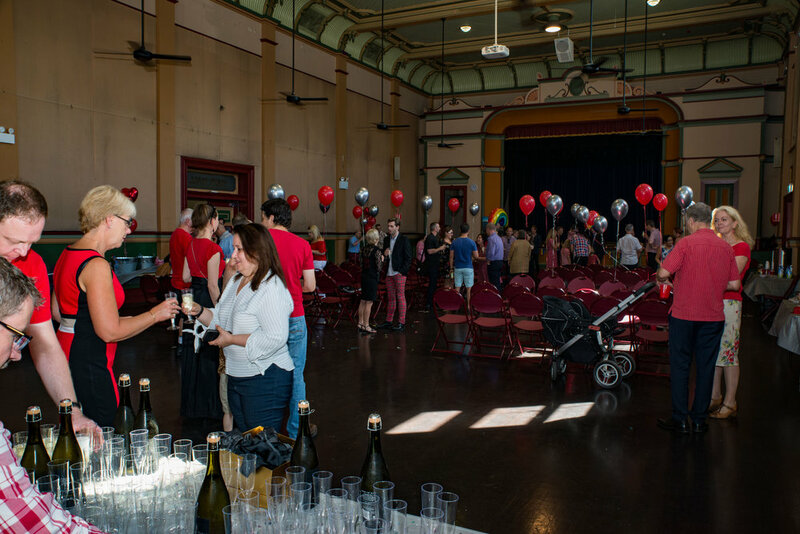 Together with the celebrant Kerry Goode that married them and the Sydney Gay and Lesbian Choir, friends and family met at the beautiful Leichhardt Town Hall for a surprise vow renewal for which Luke was completely unaware of what was to come. 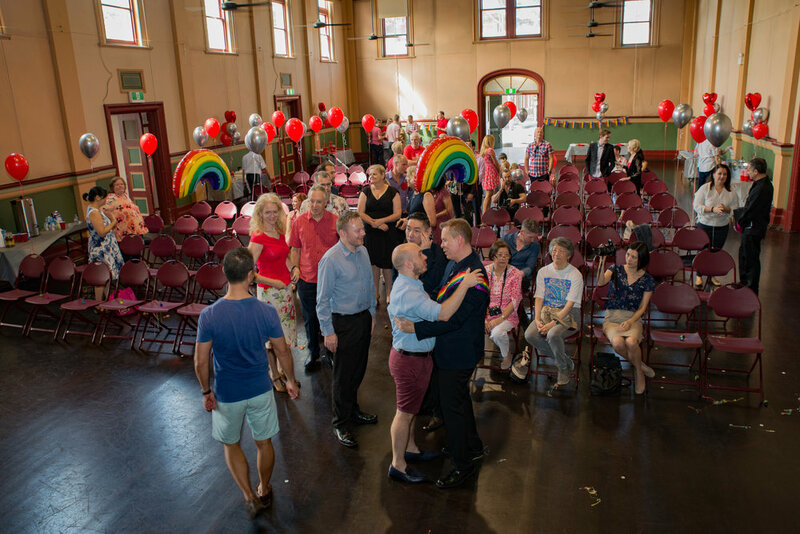 In a surprise for their friends and family, Matt & Wayne brought everyone together for an engagement party. 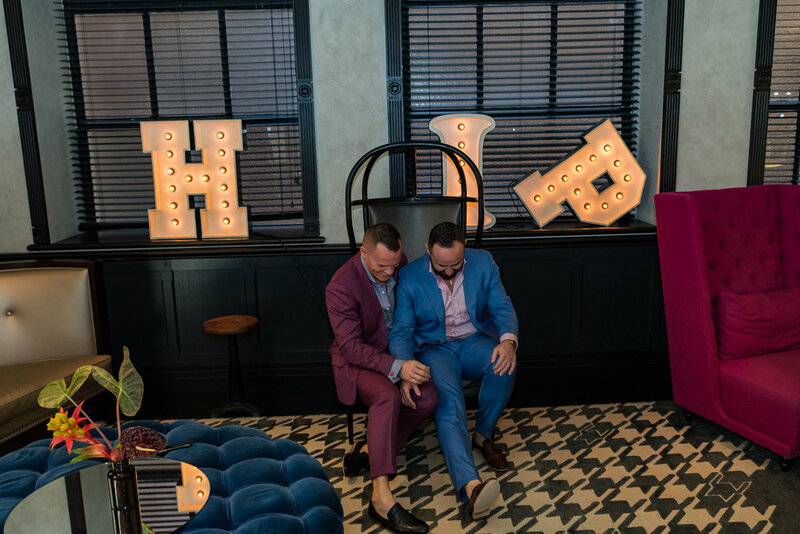 The twist happened later at the event held at The Hudson where they had arranged for a full wedding ceremony. 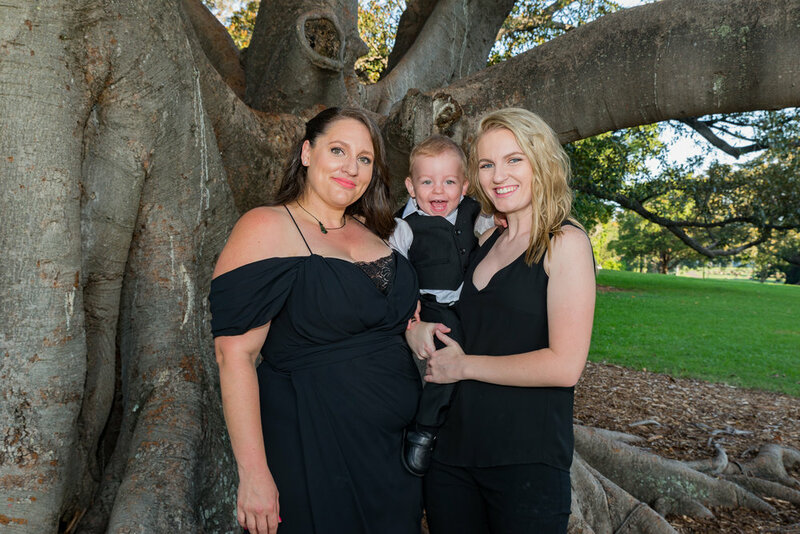 To celebrate the occasion we captured some lovely photos of themselves and families. 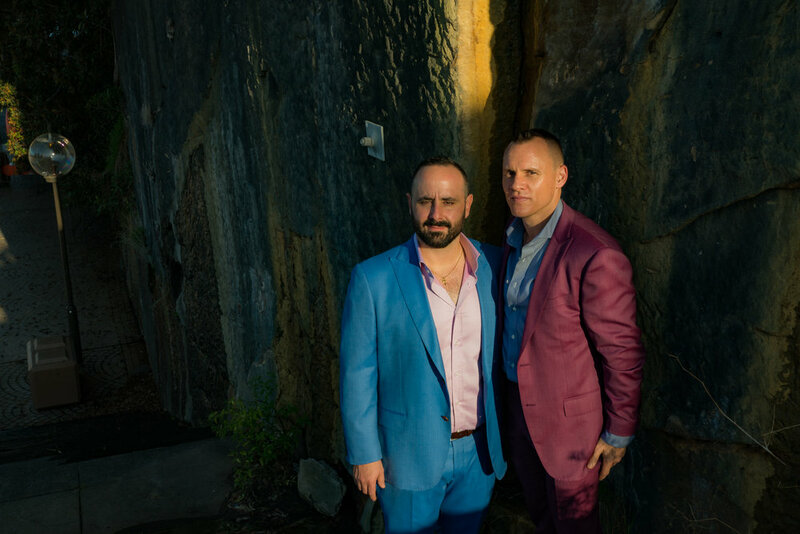 The QT Hotel on Market St Sydney and the Tarpeian Precinct above the Sydney Opera House created an amazing backdrop to portray a love that can now be solemnised due to marriage equality being realised in Australia.